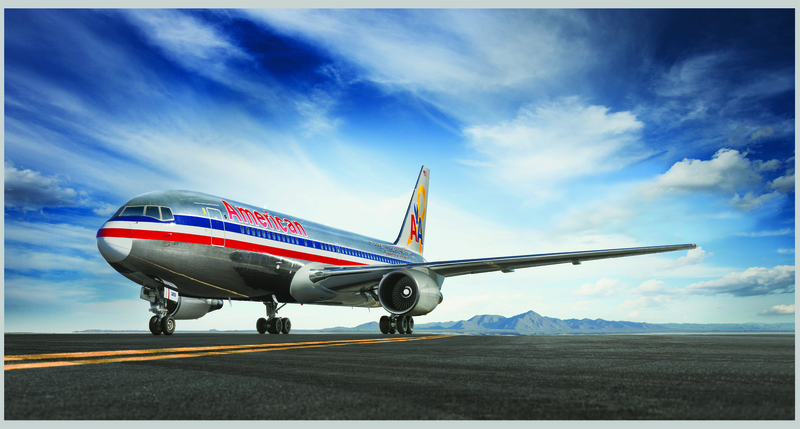 Even this older American Airlines Boeing 767 would presumably be large enough to fly without problem in extremely hot desert weather. 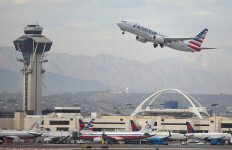 Blistering heat in Palm Springs and Phoenix forced American Airlines to cancel at least six flights of smaller aircraft scheduled Tuesday between the two desert cities. And some flights between Los Angeles and Phoenix have also been canceled, presumably due to heat in the Arizona city. American canceled more than four dozen flights in and out of Phoenix Monday due to operational concerns over extremely high temperatures. It wasn’t immediately clear how many of those flights were to or from Southern California. At least one flight from Phoenix to Palm Springs made it out of the Arizona airport Tuesday morning, but as temperatures were expected to soar later in the day, two afternoon flights — at 1:30 p.m. and 3:10 p.m. — were already canceled. That morning flight was delayed more than an hour, but heat may not have played a role as a disabled aircraft was slowing operations at Phoenix Sky Harbor airport. Four flights to Phoenix from Palm Springs were canceled. A high of 121 degrees was expected in Palm Springs Tuesday afternoon, according to the National Weather Service, while a regional heat wave was not expected to die down until Thursday. The high expected in Phoenix Tuesday was 119 — with an overnight low of 90. Whether temperatures in Palm Springs would lead to any other canceled flights was up to individual airlines, said Tom Nolan, the airport’s executive director. Other officials said the same was true for airline operations into and out of Phoenix. Regardless of any airline decision to cancel flights, Palm Springs airport was operating as usual. Nolan said travelers should contact their airlines before heading to the airport to confirm flight information. Officials at LAX also offered the same advice to Los Angeles passengers. American Airlines, which began notifying customers over the weekend of expected cancellations, said that travelers would have the option of rebooking their flights or receiving full refunds. According to an American Airlines statement, the maximum operating temperature for certain smaller, regional aircraft was expected to be reached during the day, leading to the cancellations. Regional aircraft are used between Phoenix and Palm Springs. Larger aircraft can operate at higher temperatures. American spokesperson Ross Feinstein told the Washington Post that heat- related cancellations could be expected throughout the week. He said each aircraft manufacturer sets it own maximum operating temperatures. Only American had canceled flights in and out of Phoenix. Nolan said only American flights were affected at Palm Springs airport.